French Fry Bags, 4 3/4 x 3/4 x 5 3/4"
French Fry Bags, 5 1/2 x 4 1/2"
French Fry Bags, 5 x 4 1/2"
French Fry Bags, 4 1/2 x 4 1/2"
French Fry Bags, 5 x 3/4 x 4"
French Fry Bags, 5 x 1 1/2 x 4 1/2"
French Fry Bags, 5 1/2 x 1 x 4"
French Fry Bags, 4 1/2 x 3 1/2"
Is there anything quite as irresistible as the smell of hot french fries? That scent of oil, salt and starch sends us into a carbohydrate trance there’s never any real escape from. That’s when our hunter-gatherer instincts take over, and we zero in on the sight of people passing by, carrying french fry bags stuffed full of hot and delicious potatoes. As a business owner, seeing your customers light up as they bite into crispy fries and expose their steamy, fluffy insides, is almost all the reward you need. 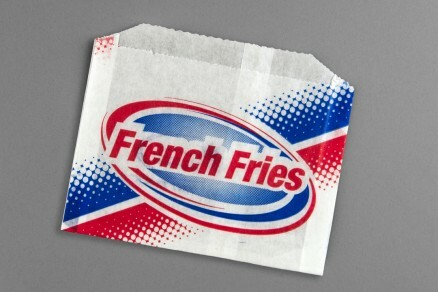 Those droves of extra hungry, ravenous customers flocking to your order counter need to be fed, and paper french fry bags can absolutely help you with that. Having fry bags at the ready will help you quell even the hungriest of crowds. 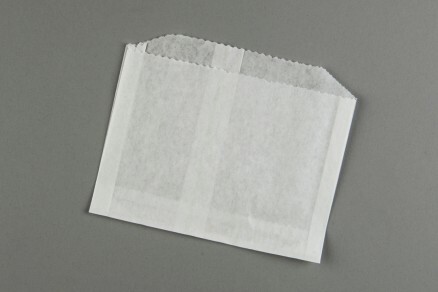 They’re a staple of the food packaging world, made from high-quality food-grade papers that are as economical as they are safe. You’ll dole out heaping piles of potatoes, stuffing them into perfectly-sized bags that are comfortable and exciting for a customer to hold. 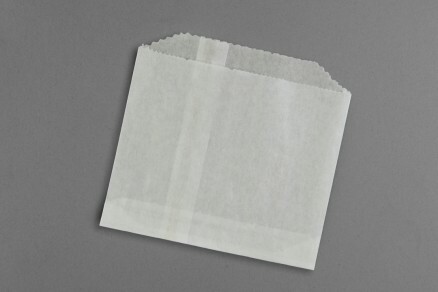 Grease resistant paper will act as a perfect barrier between hot fries and vulnerable hands. Customers can voraciously chow down, knowing hot grease won’t spill out and burn their hands, or ruin a great shirt with an oil-based stain. 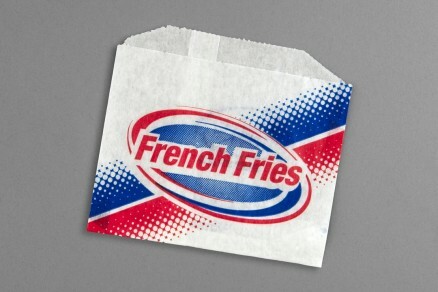 And if they’re true foodies, french fry bags will help contain their favorite condiments and sauces. But that’s not all that they’re great for. Do you also crank out addictive appetizers and sides like onion rings, cheese sticks, jalapeno poppers, deep fried pickles and other drool-worthy delicacies? 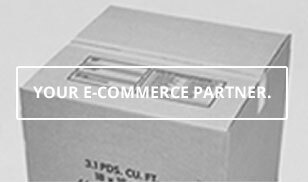 You’ll find that fry bags will become an essential part of your packaging lineup. They’ll enable you to quickly dispense hot food to waiting customers, and save them from minor burns or hot messes. And you can move onto experimenting with new creations (we heard deep-fried chocolate bars are pretty delicious!). 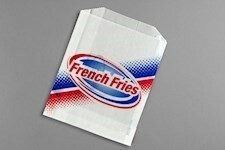 Help your delicious potatoes reign supreme with paper french fry bags from The Packaging Company.